This month, cheer on Calgary’s lacrosse team, check out the new largest YMCA facility in the world and go shopping at a new food hall and market. Bow Valley Ranche Restaurant offers afternoon tea on weekends over the winter. Photograph courtesy of Great Events Group. Partied a bit too much over the holidays and need a break? Partaking in Dry January? Don’t worry — if you’ve sworn off alcohol this month for any reason, you can still enjoy a night out at a Calgary restaurant with a mocktail in hand. Restaurants like The Coup, Proof and Cactus Club Cafe all offer tasty non-alcoholic cocktails filled with everything from elderberry syrup to ginger beer. Dazzled by slight-of-hand and death-defying escapes? Don’t miss The Illusionists: Live From Broadway‘s Calgary stop from January 8 to 13. Five touring illusionists will perform in a high-tech magic show with elements of danger and intrigue. If there’s one Calgary restaurant that takes its Caesar game seriously, it’s The Beltliner. So if that’s your brunch drink of choice, swing by the restaurant on a Saturday or Sunday to experience the weekend Caesar bar and build your own over-the-top Caesar. Not only can you choose whether you want vodka or gin in your drink, but you can add toppings like pepperoni, breakfast sandwiches, chicken and waffles, bacon, avocado and more. A drag production labeled “part cabaret, part tent revival, all drag,” a 10-minute play festival, a tipsy production of Hamlet, spoken word poetry by Canadian poet Shane Koyczan — these are just a few of the around two dozen shows taking place during this year’s High Performance Rodeo. If you’re trying to decide which shows to see, here’s what you should know before the start of this annual theatre festival. Explore your artistic side (and make your own piece of useable art) at one of Bee Kingdom’s glass blowing classes. In January, Bee Kingdom Glass is offering several classes where you can learn how to make colourful blown glass vases, drinking glasses or bowls. The classes are beginner-friendly, so you can still partake even if you’ve never tried glassblowing before. On January 9 and 30, Calgarians can ski like an Olympian without breaking the bank as WinSport offers $12 lift tickets between 3 p.m. and 9 p.m. It’s weather permitting, so be sure to check the hill reports first, but it’s a great way to get out on the hill while giving your wallet a rest after the holidays. Find your dream wedding dress at Lovenote, a Vancouver-based design studio and bridal boutique that’s set to open in Calgary this month. Located in Inglewood, the 3,300-square-foot shop will be filled with minimalist yet modern wedding gowns, bridesmaid dresses and accessories. On January 12, cheer on the Calgary Roughnecks as they take to the field for their first home game in 2019. Come early to take advantage of concession happy hour deals from 5:30 p.m. to 7 p.m., then watch as the lacrosse team battles the New England Black Wolves for the win. 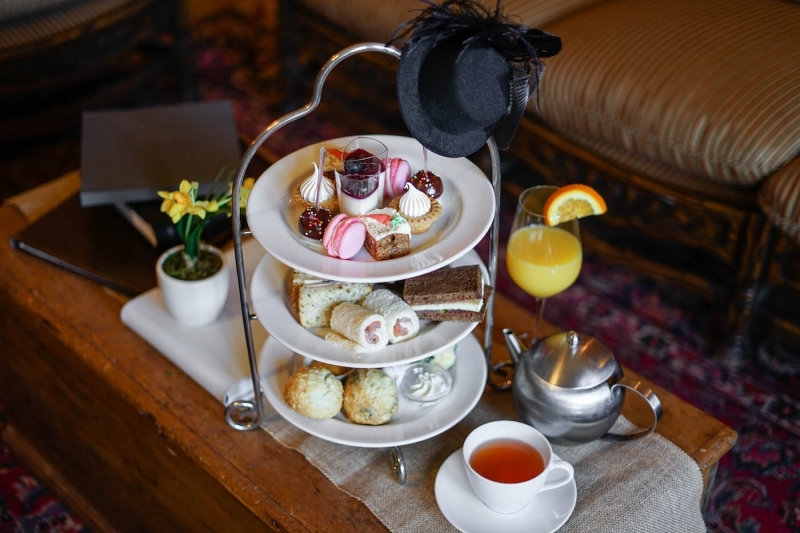 This winter, switch up your usual brunch date with friends for the charming afternoon tea experience at the Bow Valley Ranche Restaurant. Served from 2 p.m. to 4 p.m. on weekends, guests can order cheese boards, charcuterie or a selection of tea sandwiches and cakes, scones and pastries. Whether you celebrate the Ukrainian Orthodox New Year on January 14 or simply love perogies, don’t miss the chance to learn how to make them with Granary Road vendor Perogy Guy. Participants will learn how to make the filled dumplings from start to finish over a one-hour session. After opening the world’s biggest YMCA facility in Rocky Ridge last year, Calgary is now topping itself by opening an even bigger one this month. Clocking in at 330,000-square-feet, the Brookfield Residential YMCA in Seton is home to a new Calgary Public Library location, ice arenas, theatre and art studios, a running track and more. The pool won’t be unveiled until March 1, but there’s plenty to explore until then starting on January 14. 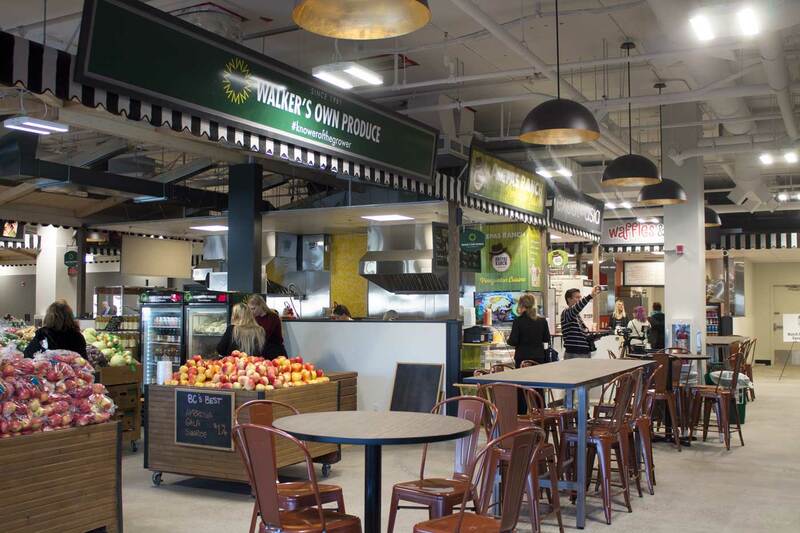 If you love shopping local, you’ll want to check out the newly opened Avenida Food Hall & Fresh Market. Open from Thursday to Sunday between 11 a.m. and 8 p.m., the market features around 40 restaurants and vendors selling everything from fresh bread and flowers to Ukrainian and Ethiopian cuisine. Swing by to pick up some Mountain Rhino Donuts at The Mercantile, grillable Latin cheese from Latin Food Specialties or order some tacos from Takori, a new taqueria by Foreign Concept‘s owner chef Duncan Ly. Warm up your vocal chords and dust off your pink hat — the annual Women’s March kicks off at noon in front of Banker’s Hall on January 19. The worldwide walk raises awareness for women’s rights and equality and will feature speakers in front of City Hall. Start the new year getting inspired by the presenters, the sign slogans around you and the moment of solidarity. 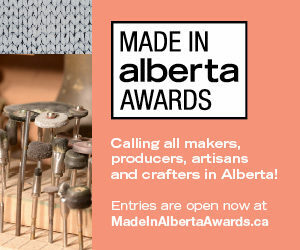 You can even make signs ahead of time at the Women’s Centre of Calgary on January 17. Get ready for a night of intrigue at Fort Calgary’s latest interactive Murder Mystery Dinner Theatre event. Guests are treated to a dinner buffet and some bubbly as they try to figure out the mystery being played out by local theatre company Pegasus Performances, who will stage The Cook, The Scot, His Lass & Her Lover this month. Wedding planning can be stressful, but this month, you can get all your ideas in one place at The Bash. The wedding show is curated to avoid overwhelming attendees and highlights trendy local wedding vendors. This year, guests can peruse products and services by nearly 30 vendors, including florals from Faint, dresses from Powder Bride and treats from Pretty Sweet, while enjoying music, champagne and photo booths. It doesn’t matter whether you’re in Inglewood, the Beltline or Sunridge — there are tons of great spots around Calgary to get a hot bowl of ramen. Featuring everything from house-made noodles to vegetarian and vegan options, the ramen at these six restaurants is a must-try. This isn’t going to be your typical basketball game. When this touring exhibition team takes to the court in their signature red, white and blue uniforms, fans can expect incredible basketball feats ranging from comedic centre circle games to tricks and flips leading to slam dunks. It might be cold outside, but Calgary’s annual Big Winter Classic music festival gives you a reason to bundle up and head out. From January 24 to 27, you can take in performances by bands like Miesha & The Spanks, The Ashley Hundred and Little Destroyer at Broken City, Last Best, The Palomino and the King Eddy. Buy a pass to keep yourself venue-hopping throughout the entire festival. Calgary diners may have noticed some evening activity in Meat & Bread‘s downtown restaurant space lately. Starting in late December, new restaurant Night & Weekends has been popping up there during Thursday to Sunday evenings to serve its menu of oysters, beef tartare, seasoned egg, Japanese eggplant and tagliatelle and more. Make a reservation to check out this new dining hot spot now. Chinese New Year may start on February 5 this year, but you can start celebrating it early at the Calgary Chinese Cultural Centre’s Lunar New Year Festival. Calgarians can usher in the Year of the Pig over two weekends of activities that include food vendors and trucks, lion dances, lantern displays, a marketplace and more. When the weather gets cold, sometimes you just need to spend the evening indoors with some board games. But if you’re getting tired of playing the same games over and over again at home, visit The Hexagon Board Game Cafe in Kensington to try some of the hundreds of games in their arsenal. Play games like Exploding Kittens, Jenga, Dominion, Ticket to Ride and more while sipping on a hot or cold drink. Ira Levin’s Tony-nominated play Deathtrap dominated the Broadway stage for years in the late ’70s and early ’80s, and now, Vertigo Theatre is staging the popular play in Calgary. The suspenseful production follows struggling writer Sidney Bruhl and Clifford Anderson, a former student whose new work might just be Sidney’s ticket to fame — if he can get Clifford out of the way. Cabin Brewing Company officially opened its doors in December, rounding out the list of at least 15 new breweries that opened in Calgary last year. The newest addition to the Barley Belt was designed to hint at the idea of a family cabin, creating a cozy space to enjoy a New Zealand-style meat pie and brews like the Super Saturation NEPA or Retrospectrum pale ale. The taproom is open daily, so swing by to check it out. Open since last October, Manmeet Singh Bhullar Park pays tribute to the eponymous late cabinet minister who was killed in 2015 by another vehicle after stopping to help a stranded motorist on the the highway. Take a peaceful winter walk through the five hectare park in Taradale to admire details like the steel archways, the groves of trees and the tributes to Bhullar. If you love listening to podcasts, chances are you already have a few favourites that you tune into regularly. But if you’re looking for something new, consider checking out one of the many locally made podcasts in Calgary, which cover topics ranging from The Simpsons to cultural minorities.